Many persons start out by helping family and friends plan events (e.g. birthday parties, anniversaries, Christmas parties, reunions, weddings, etc.). But you can also volunteer to plan events at work, at your church, for your club or for a charitable organisation in your city. These could include a range of events such as picnics, marathons, charity runs, sporting events, lunches, dinners, holiday parties, incentive trips, meetings and conferences. This exercise will serve a dual purpose. As an event organiser you should have an indepth working knowledge of the venues and event vendors in your location. Conducting site visits of the large venues will allow you to view the event spaces they offer. But when you are now starting out these visits prove an invaluable networking opportunity where you can share your interest in volunteering for any of their future events. You can reach out to established event planning or catering companies in your area and let them know you are very interested in event planning and would welcome the opportunity to volunteer for any of their upcoming events to gain experience. 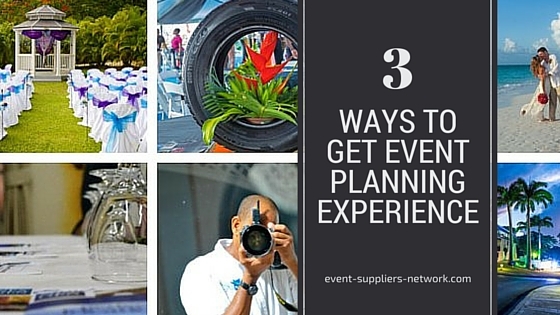 This will give you the opportunity to experience first-hand many different aspects of the event planning process (i.e. vendors, venues, food service, business management and logistics). Don’t be shy! Many of these companies would welcome the assistance. 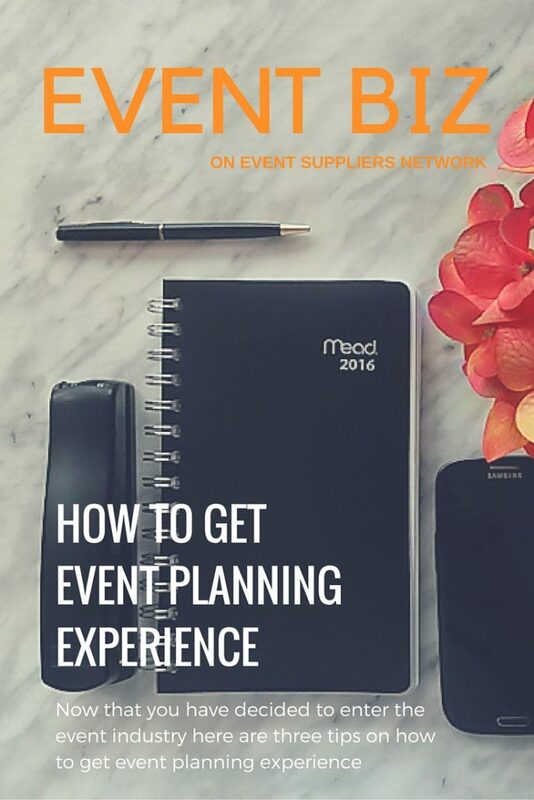 For those of you starting out in the event industry we hope that you find these tips useful. And should any of you in our community have other suggestions on how to get event planning experience we would love to hear from you so please share in our comments section below.